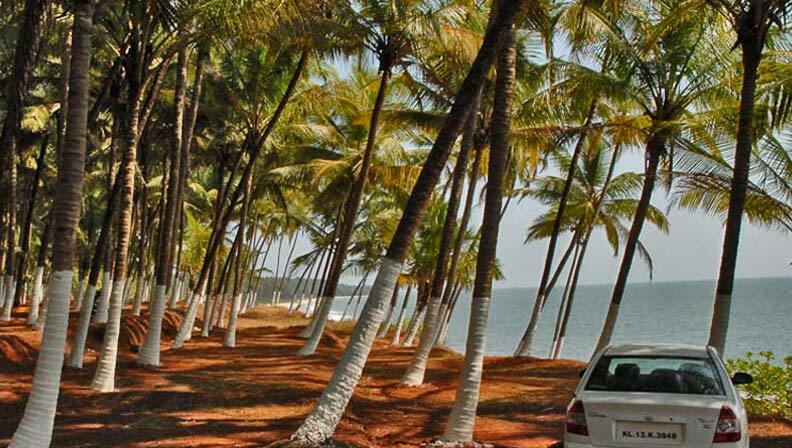 Kanbay is the most romantic beach resort on the Malabar coast overlooking a serene, secluded virgin beach. 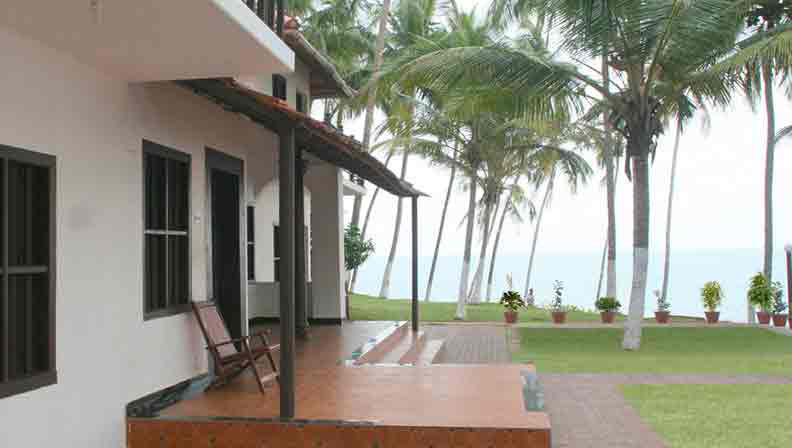 This tranquil, exotic beachfront resort located in the district of Kannur, is preserved with great care to be extremely eco-friendly and absolutely untouched. Kanbay is considered to be one of the best in North Kerala . 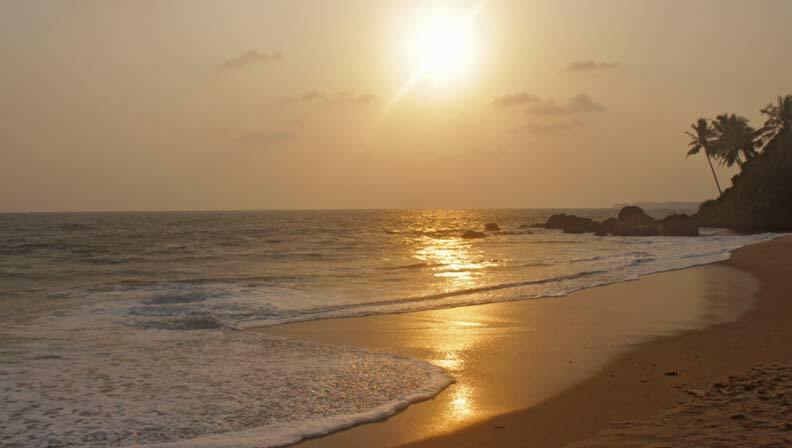 Kanbay Beach Resort, is one of the leading beach resorts in Kannur(Kerala) which provides both the modern and the traditional amenities of life to the tourist. Kanbay beach resort is situated on the seashore of the Kizhunna beach. We offer the perfect blend of exotic and serene location lets you glued to it and enjoy to the fullest. 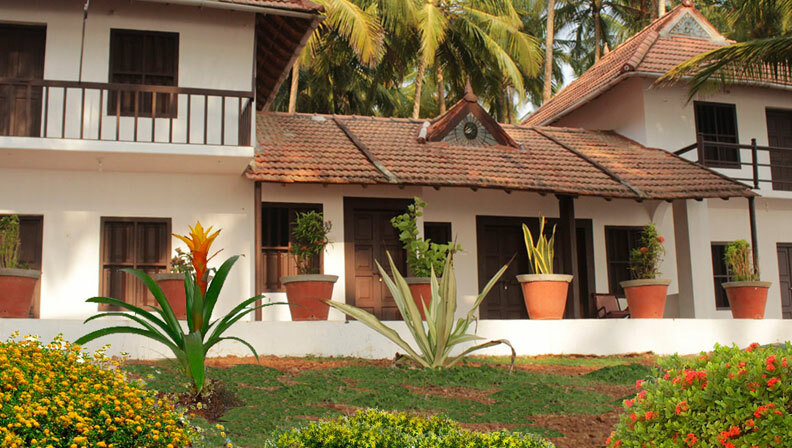 Another specialty of the Kanbay beach resort is its cottages, which is rennovated ancestral home. These beach cottages are for the tourist who wants to lead a simple & traditional life. 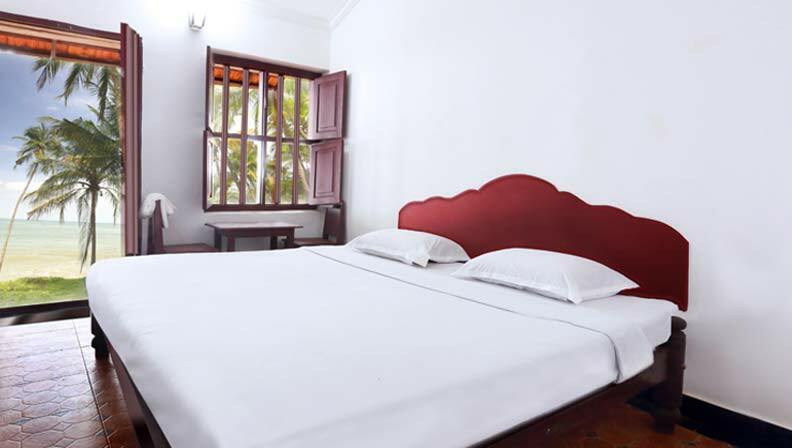 For those who want modern life, Kanbay beach resort provides air-conditioned rooms. This combination of modern & traditional life facility is a peculiarity that you can find at our Resort. The most beautiful thing about Kanbay Beach Resort is the sea view at its best. Cool breeze coming from crystal clear waters of sea of Arabian is simply mesmerizing. 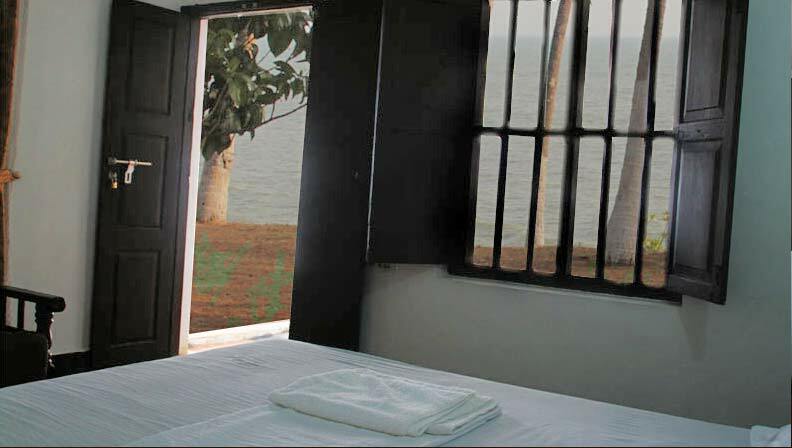 All this can be enjoyed while sitting on the bed room overlooking sea. Kanbay Beach Resort resort is very artistically conceived beach resort which merges with the environment completely. Imagining a coconut tree, people alway s think of some beautiful place on the seashore, where you can relax in the shade of the large green Coconut Tree leaves waving in the light breeze. Coconut tree has always been a part of KERALA's culture and way of life. Its also associated with romance, symbolizes tropical beauty and that is what exactly our Resorts are! Experience the pristine hide out under the cove and romance with the nature. 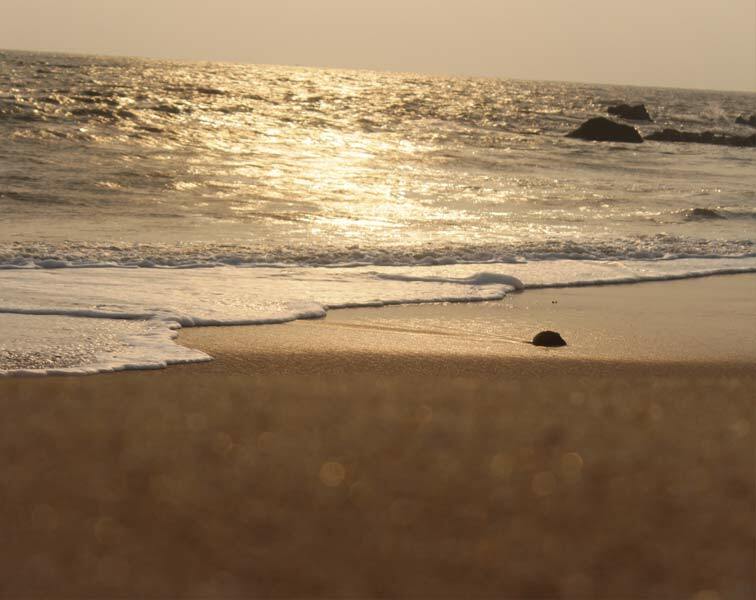 Or relax on the rocks and enjoy the changing moods of Arabian sea and the splendor of the vibrant sea that can sparkle vitality and exuberance that you would have never experienced before. Play football or volley ball. Go fishing or snorkeling ... ... .. the treasure is yours. Instant confirmation and a best rate guaranteed at Kanbay Beach Resort. Every effort is made to make guests feel comfortable. THE SIDE WAY BEACH OF KANBAY BEACH RESORT WELCOMES YOU TO FEEL THE SOFTNESS OF WHITE SAND IN YOUR EACH WALK, TO SEARCH FOR PEARL IN SHELLS, TO LISTEN AND ENJOY THE RYTHEM OF SEA. IT BRINGS YOU AN AMBIANCE THAT CLEARS YOUR MIND AND INSPIRES YOUR SOUL.